Tips from expats on how to settle in Tartu. We hope you’ve enjoyed your visit to Tartu - it’s a vibrant University town full of surprises and excitement, and we’re sure you’ll agree. If you’ve had a good time as a visitor, whether you came on a business trip or as a tourist, perhaps you ought to consider relocating and working in Estonia’s second largest city. As with most cities in Estonia, doing business here is simple, efficient, and Tartu is home to many new start-ups created by talented students both past and present. Not only that, but as the effective capital of the region, there’s a lot of industry within a relatively short commute. With its relatively small size, and fairly compact centre, it’s a breeze to get to work in Tartu and an easy train or bus trip to Estonia’s capital city Tallinn. To help newcomers get started, and with the recent increase in expats from around the world calling Estonia home, there are many organisations ready and waiting to help, such as the Welcoming Program. The Welcoming Programme is a state provided and free of charge national programme, designed to make it as easy as possible for new arrivals to join in and integrate with the Estonian way of life. The programme also aids newcomers in getting used to the business, study, and leisure culture. Participating in the programme will give you a wealth of information in regards to everyday life in Estonia, plus details on how to study at a university, other institution of continued education or higher learning, how to receive Estonian language lessons, and loads more. There's also a Facebook group Settleinestonia. There’s also plenty of additional information to be found in online resources about life in Tartu. 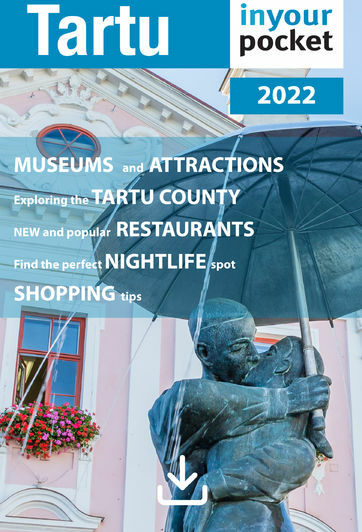 The first stop after the Welcoming Programme would be Tartu City’s own website, which has plenty of English-language info on visiting or living in the city. One of the best places to go however is good old Facebook - the social network is still a great way to find out about places and events, wherever you are. Two of the more informative groups are Expats in Tallinn/Estonia which offers up hints and tips on basically everything one might want to find out about in Estonia, or the more Tartu oriented Foreigners in Tartu. Be warned: although the first two groups are, shall we say, enthusiastically moderated and somewhat colourful, you may get the occasional sarcastic responses to standard queries. Don’t let it put you off – they’re both a goldmine of worthwhile information and the majority of members are rather helpful. In addition, there’s an excellent independent blog, Expat in Estonia. This is filled with compelling content on everything from what to do on a cold autumn day to how to find housing in Estonia if you’re coming into the country. Also operating to help people settling in Estonia, with the administrative workload, and all other matters related to adaptation - is Expat Relocation Estonia, which offers a wide range of services for those that have relocated, or are about to relocate. It’s staffed by Estonians who have a strong corporate background, and worth a look. spirit, finding friendly social activities in Tartu is generally quite an easy task and the people here are very welcoming. The simple way is to just take a walk through the centre at around 8pm, head to a decent looking bar or lounge that shows some signs of life, walk in and listen for English being spoken. More often than not, you’ll soon end up finding yourself being bought drinks, invited to join a table and possibly end up at some sort of an event or party that same night. If that isn’t your style, you can opt for connecting ahead of time with some of the various groups in Tartu that deal with social activities and more. The International House Tartu Facebook group is an excellent resource that basically covers everything from regularly scheduled language lesson cafés, social activities, intercultural gatherings, how to access healthcare and simple overall advice for those wishing to relocate longer term to Tartu. Finally, InterNations is a long-established international community for expats, and it holds monthly meetings at which there is often a high concentration of IT and start-up employees, medical researchers, scientists, doctors etc., no matter the background, you’ll find someone who has something in common with your own experiences at Internations. On ocassion your soul also needs to help feel at home in a new country, a few religious groups also operate in Tartu and several of them deal with foreigners such as the multi-ethnic Christian, Tartu International Fellowship they hold regular services in English as well as bible studies and organise social events. If the purpose of your stay in Tartu is academic in nature and at the University of Tartu, they have a well developed system in order to help the more than 1,500 international students and 230 international staff that become part of its various programmes every year. Each academic year begins with orientation days for international students. The course is designed to help international students get to know each other, the university and the town. All new international students get tutors – local students who are trained to provide the necessary support to new students. Before arrival, international students also have a chance to ask practical questions from International Student Ambassadors or read their blogs about life in Estonia. The Erasmus Student Network Tartu takes care of student social life once they have arrived in Tartu by organising various local events and trips throughout Estonia. International staff receive support from the Human Resources Office, International Cooperation Unit and their respective faculties. For staff, there is a welcome seminar and a reception by the Rector followed by cultural evenings throughout the academic year. Some other University tied online sources include the Welcome Web for students and staff, Getting started in Tartu for international students and naturally there’s a Facebook group specifically for international students attending the University of Tartu Degree Students of the University of Tartu. You’ve probably got lots of questions about what it’s like to live in Tartu. Nothing ever stands still in this vibrant, creative and youthful ‘City Of Good Thoughts’, however, online you’ll discover all the assistance you could ever want in getting to grips with life in this corner of Europe. Start with the Welcoming Program, and remember, whatever you need to know, there’s a one-stop resource in which you can reach out to for answers.